The biggest and best holiday craft fair in Northern Colorado. 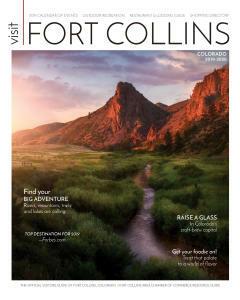 The Fort Collins Holiday Gift Festival is a curated marketplace of over 120 exhibitors selling an enormous array of fine arts, handmade crafts, delectable food, home décor, and unique holiday gifts. This fun and unique shopping experience can be enjoyed by the whole family. Admission is free and there is a holiday concert starting at noon. This holiday shopping event takes place inside an 18,000 sqft gymnasium, only 1/10th of a mile from Old Town Square in Downtown Fort Collins.